Discuss rumors as well as official Nikon camera news here. Have you spotted a good deal on Nikon gear on the net? Share it here! New to Nikon Forums? Stop by to introduce yourself here! Need help with something and just starting out? Ask away in this forum! The place to post if you think your camera has a technical issue. Found a clever way to do something? Post about it here! Discuss general photographic technique in this section. Discuss post-processing, printing, scanning, and touch-up technique in this forum. Anything and everything about flash photography. A place to discuss topics relating to shooting with film and developing. Discuss video recording, processing, and HDSLRs here. Discuss the photographic industry in this forum, including products by other manufacturers. This forum should also be used for speculative threads. Discuss photographic events, workshops, and meets in this forum. Upload and share photo with the community here! Receive honest comments and suggestions for improvement from fellow photographers. 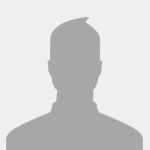 Here you can share your personal photo sites and ask for feedback on your work and layout. 10 posts required to share. This is the place to post photo challenges and games. Here the NikonForums.com staff will host official photo contests and other events. 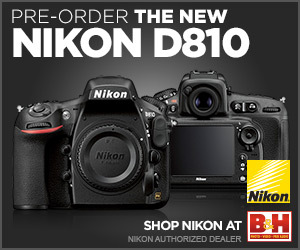 Discuss Nikon's main DSLR lineup in this section, such as the D3200, D5200, D7100, D90, D300s, etc. DX cameras include those with APS-C sized sensors. This is the place to discuss Nikon's professional and flagship full-frame DSLRs, such as the D600, D700, D800, D3, and D4. Discuss Nikon's full-size mirrorless cameras in this forum, such as the Z series. Use this forum to discuss film SLRs like the Nikon F.
Discuss the Nikon 1 mirrorless and Nikon Coolpix compact cameras in this forum. Use this forum to share and browse sample photos taken with specific cameras. Need a recommendation or just want to talk lenses in general? Post here! Finding the ideal camera bag or tripod isn't easy. Post here for accessory advice! Working on building an accessory or tool at home? Share your technique here? Use this section to share and browse photos taken with a specific lens. This is the place to discuss topics unrelated to Nikon or photographic. No politics or brand wars! Old ads on this forum. Use another system or just want to talk about other brands? This is the place for Canon, Sony, Fuji, Pentax, Olympus, etc. Need help with the web site or found an error? This is the place to post! Following a donation, your account will receive increased photo space as a sign of our gratitude!